Justin Timberlake and Ryan Gosling have come a long way from their Mickey Mouse Club days. 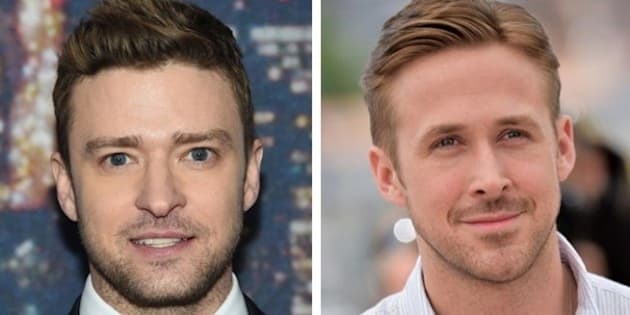 Justin Timberlake and Ryan Gosling have come a long way since their Mickey Mouse Club days. On Friday, JT’s former 'N Sync bandmate Lance Bass took to social media to prove just that. #FBF to that time when a 3-way meant something completely different!! Today, Timberlake and Gosling have established steady careers in Hollywood and have both recently become first-time dads. The “Suit & Tie” singer welcomed his son Silas Randall with wife Jessica Biel earlier this year, while Gosling welcomed his daughter Esmeralda Amada with longtime partner Eva Mendes in September 2014. Now that these two have offspring of their own, we can’t wait to see if their kiddos will follow in their footsteps!